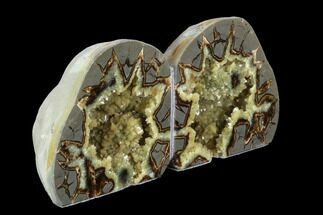 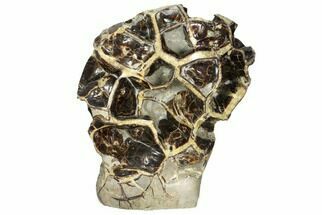 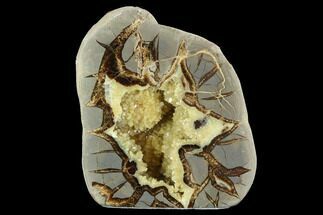 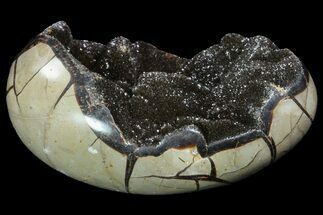 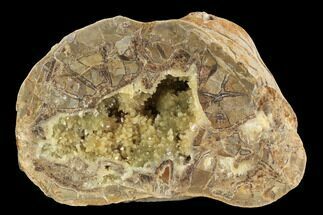 Septarian geodes start out as concretions or balls of mud which form around organic matter. 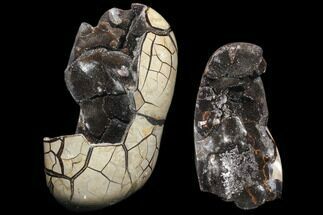 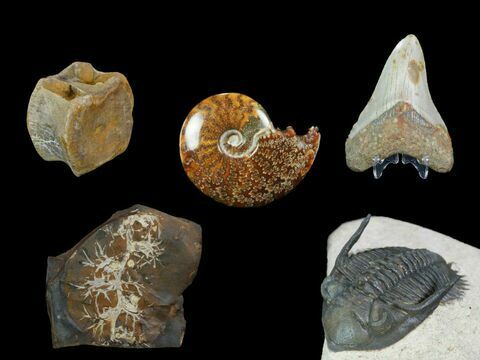 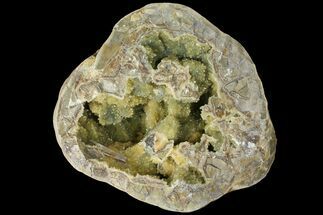 Cracks form in these concretions likely as they dry out and shrink. 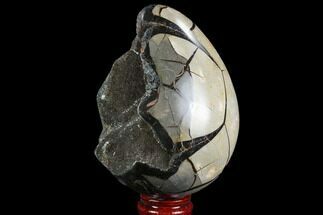 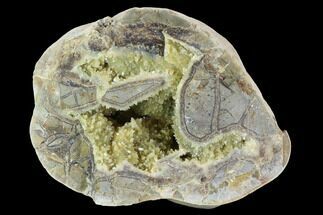 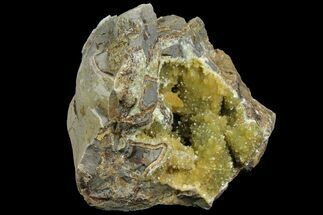 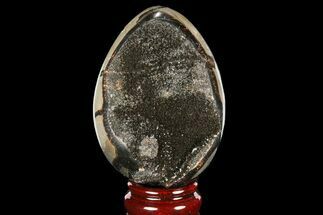 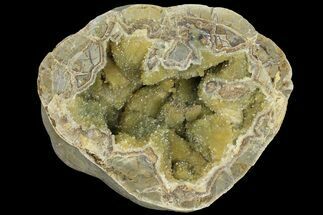 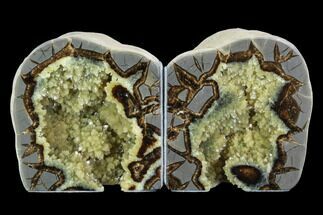 These cracks are then filled with minerals such as calcite (yellow) and aragonite (brown) causing the very distinctive patterns. 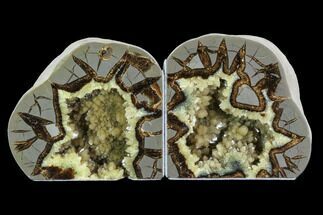 These septarian geodes make for very aesthetic display pieces when cut and polished. 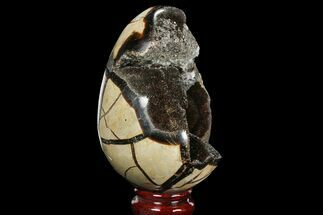 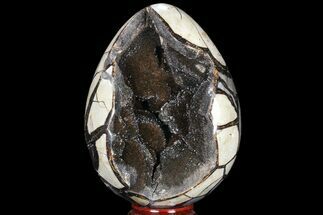 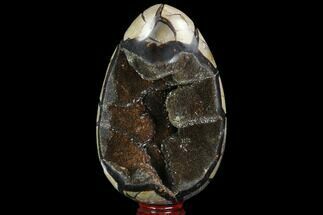 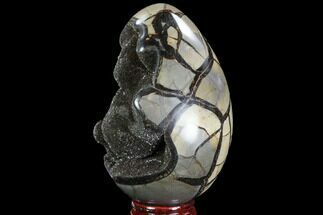 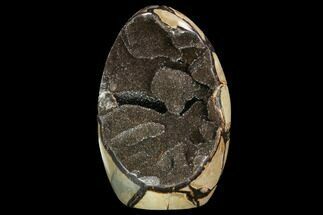 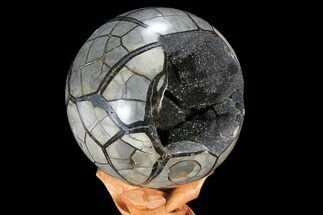 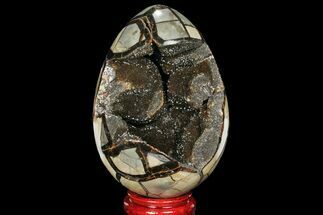 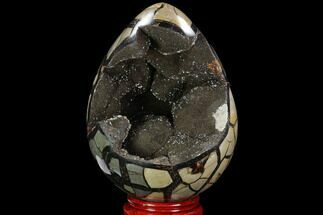 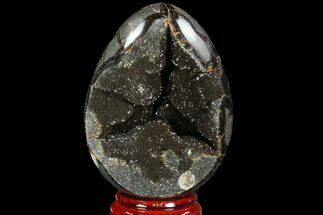 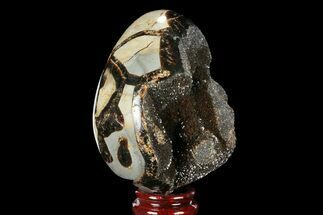 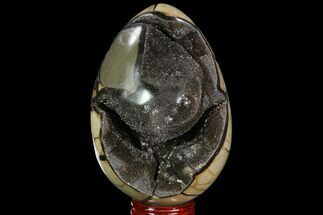 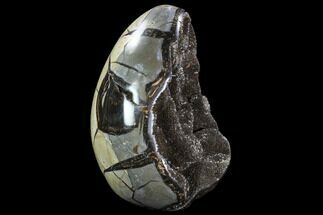 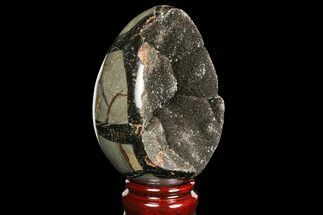 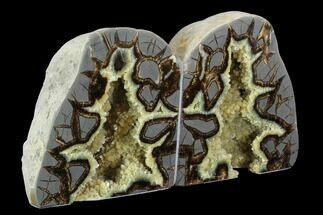 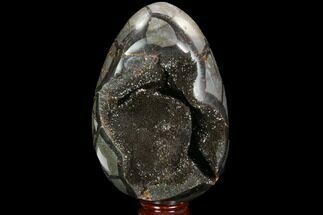 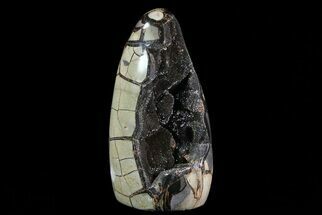 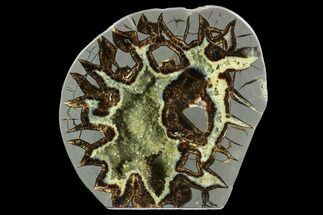 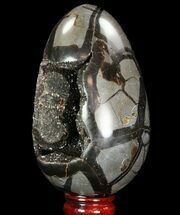 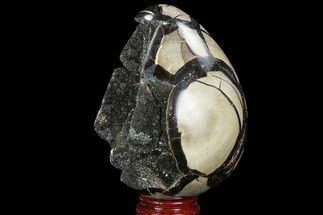 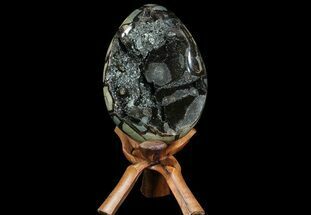 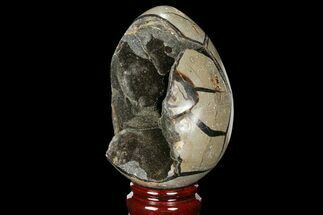 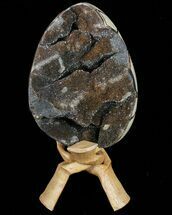 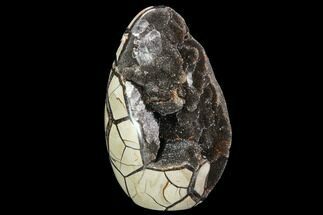 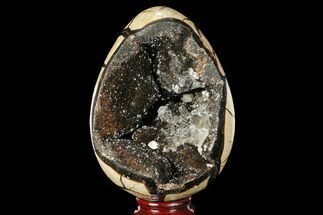 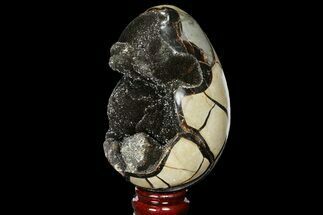 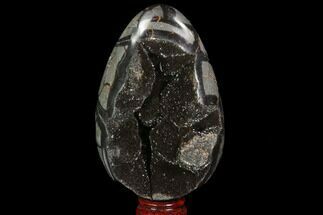 Septarian sometimes gets referred to as "Dragonstone" because the natural patterns of the cracks make people think of Dragon's skin.